Added on June 7, 2013 by Tom Cramond. There have been no shortage of people basing Microsoft's new console the Xbox One over the past two weeks since its announcement, and I for the most part have defended it. 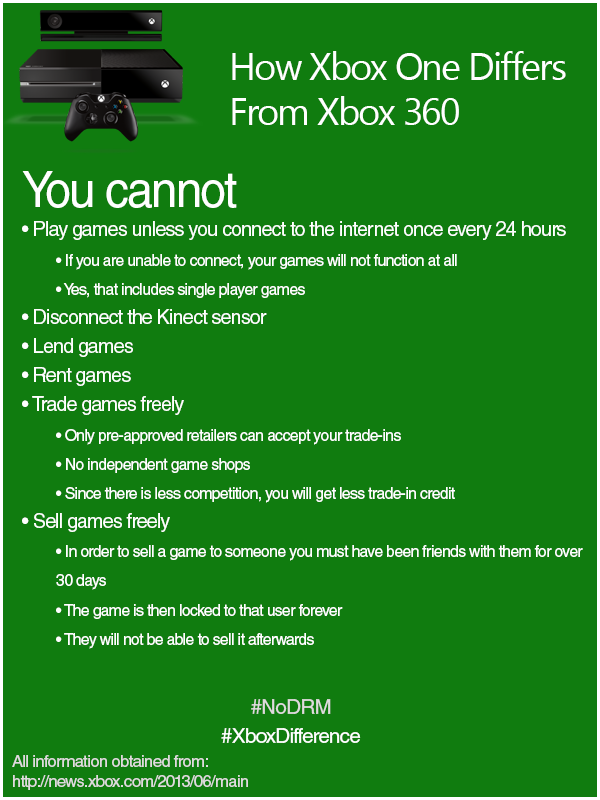 But today's announcement of the restrictions placed on the next generation console are just plain ridiculous. Have a look at the infographic below - the 360 has been my console of choice, but I'm seriously unimpressed by its follow up. Disgusting.